D.N.B, MS - General Surgery, M.B.B.S. Dr. Ravul Jindal, M.B.B.S, M.S., DNB, FRCS (Vascular Surgery), is a Vascular and Endovascular surgeon at Fortis Hospital, Mohali. 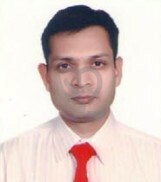 Prior to joining Fortis Hospital, he was associated with St. Mary’s Hospital, London as a Senior Registrar in the Department of Vascular Surgery. Dr. Jindal achieved his undergraduate degree from the prestigious Mahatma Gandhi Institute of Medical Sciences, Maharashtra. Subsequently, he went on to achieve his post graduation in general surgery from the world famed institute, PGIMER, Chandigarh. Thereafter, he acquired Diplomate in National board.After completing his senior residency at PGI,Chandigarh, he went on to do his fellowship in Vascular Surgery(FRCS) at St. Mary’s Hospital, London(UK), affiliated to the world-renowned Imperial College . He has vast experience in open and endovascular surgeries, with expertise in endovascular management of aortic aneurysms, distal bypasses in diabetic foot, vascular trauma and various types of arterial reconstruction. His special interests are in varicose veins and deep venous thrombosis. Dr. Jindal is actively involved in research, presentation of papers at national and international meets and has a number of publications to his credit. He has been awarded Japanese Vascular Society Fellowship (2005) to present his work on carotid artery surgery at Asahikawa, and also the St Mary's Lindo Wing Fellowship to present his work at Interventional radiology meeting (CIRSE) at Nice, France. In addition, he has written more than 10 book chapters as the first author in international books in the field of vascular surgery and is credited with more than 20 publications in various international journals.